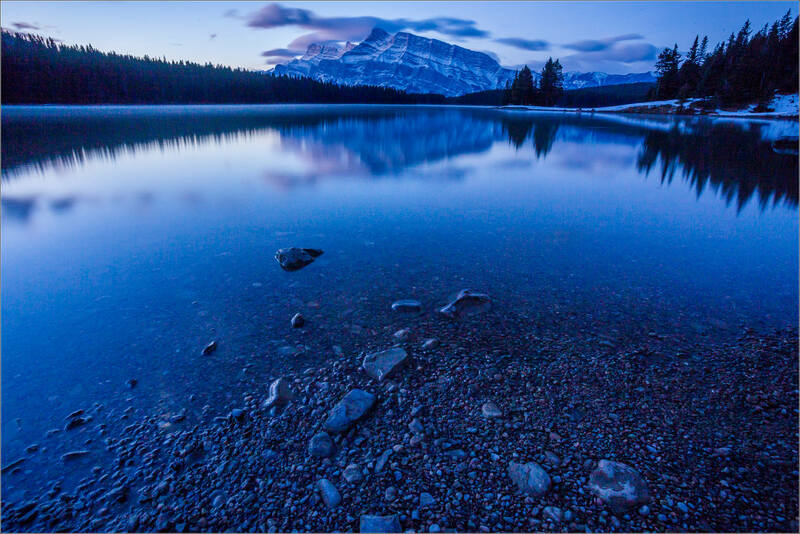 Two Jack Lake’s surface was pretty calm on a beautiful blue sky morning in the Banff National Park two weeks ago. 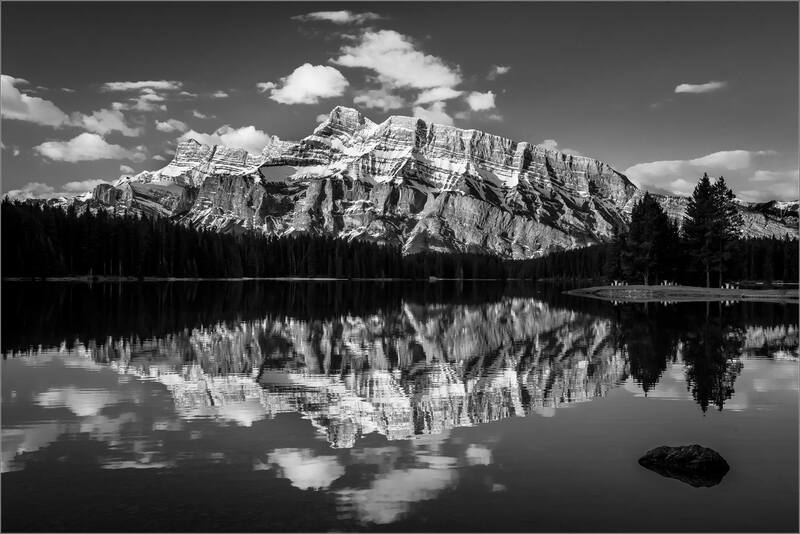 That meant that Mount Rundle’s reflection was a bit skewed but I liked the look that suggested a fun house mirror. I preferred the graphic look of black and white in this image. For comparison, I included the original color version. With the cooler days that have come with November, we have had some snow fall up in the mountains. 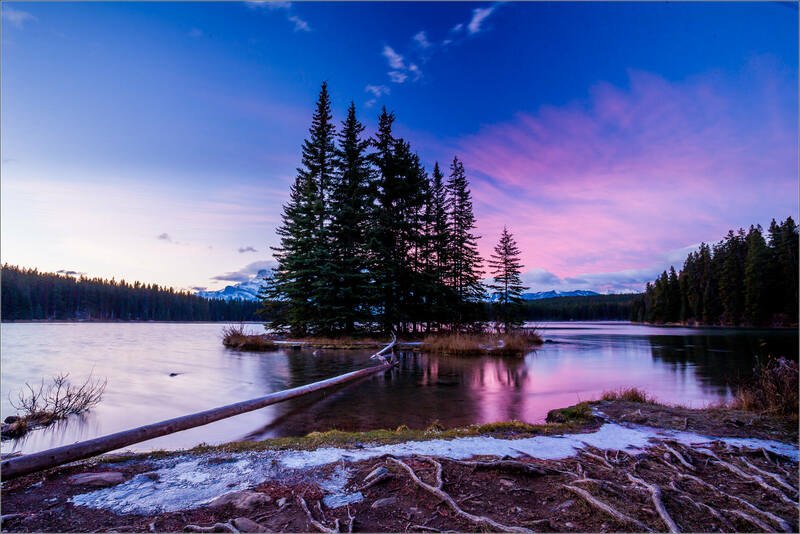 I went up to Two Jack Lake for sunrise on Friday to see how things would look with a bit of snow in the picture. Facing Mount Rundle and her reflection in the water there was just the odd skiff of snow along the shoreline. The color deepened in the sky for a few minutes before it started to color the clouds clinging to the mountain. When I first arrived, the sun was still a while away from lighting up the clouds. The darker scene, below, allowed for a longer exposure and more stretch to the clouds and water. I love this time of year when snow starts to build up and the scenic opportunities shift to one dominated by the white blanket that settles unevenly across the land. 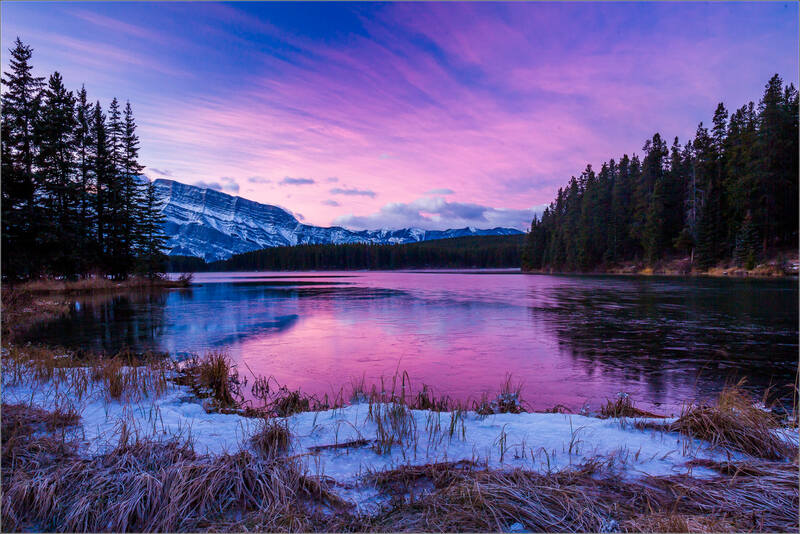 Winter in the Banff National Park is probably my favourite time of the year there. It is exciting to be on the edge of it. I drove around the Minnewanka Loop in the Banff National Park this morning on the search for wildlife, bears in particular. 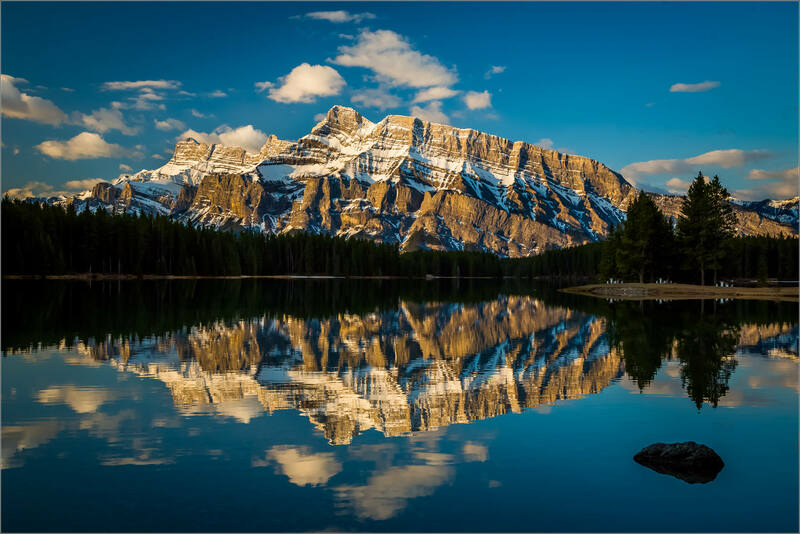 The loop starts at the easternmost Banff townsite exit and goes uphill to Lake Minnewanka. Along the way you can occasionally see wolves, bears, moose, elk, bighorn sheep and deer. The snow was falling with great enthusiasm by 8 am this morning. 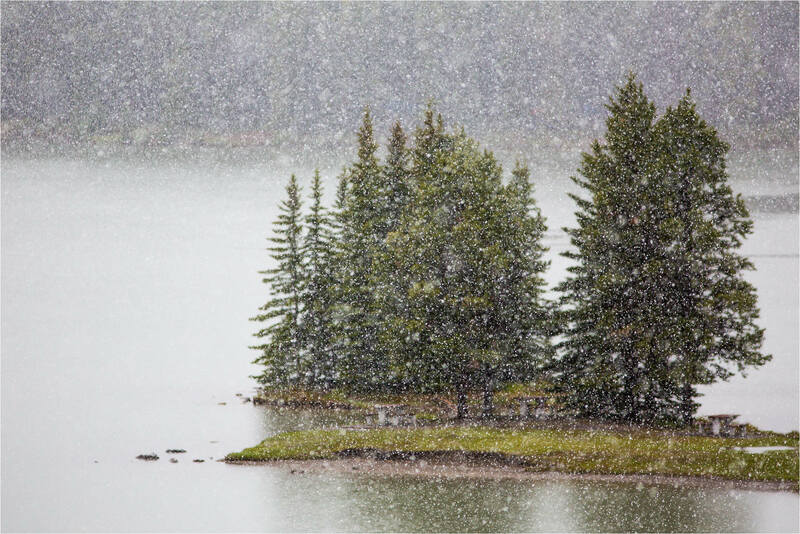 It made finding wildlife a bit more challenging but I loved how the sky looked filled with these huge flakes. 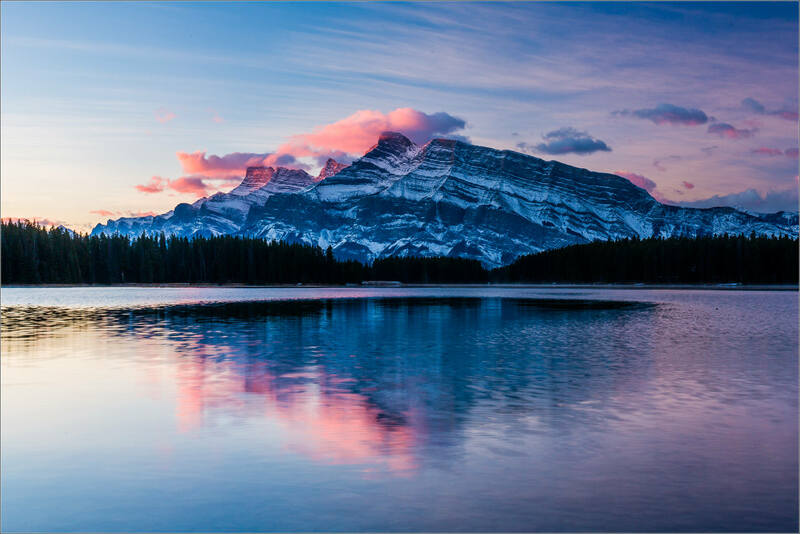 In the image above I was on a bluff looking over Two Jack Lake towards Mount Rundle. This stand of trees is on a small point that juts out prominently. With the snow this was the only feature of the lake that could be seen. The trees looked like they were painted with brush strokes and this image shows some of that.